Bennett University Admission 2020 will start in the month of October 2019. Bennett University is a private University located in Greater Noida, Uttar Pradesh. The university offers admission in UG and PG courses in the field of Engineering, Arts and Management. Admissions are provided into various courses offered by the University on the basis of national level test scores. Candidates must read this article to know updated details of Bennett University Admission 2020 including application form, dates, eligibility, etc. Bennett University offers admission in various UG & PG programmes. UG Courses offered are B.Tech, BBA, BBA LLB, BA LLB, and BA Journalism & Mass Communication. PG programmes offered are – MBA & MBA (BFSI). Bennett University 2020 Application Form will be filled through both online & offline mode. There will be no separate application form for NRI or international candidates. Candidates must provide valid & working email ID and contact number to get login credentials and updated details. Candidates can get offline application forms from university admission office. Candidates must fill all the mandatory details carefully & then submit the application form. Greater Noida- 201310, Uttar Pradesh, India. The application fee for both modes will be Rs. 1000/-. Mode of Payment: Candidates will be able to pay the Bennett University Application Fee through both modes – online as well as offline mode. Online mode will be via credit card, debit card or net banking. For offline mode, candidates will have to pay via Demand Draft (DD). Qualification: Candidates must have passed 12th level. Percentage: Candidates must have secured minimum 60% marks. Mandatory Subjects: Candidates must have passed with minimum 5 subjects in 12th level. Physics & Mathematics will be the mandatory subject for admission in B.Tech. Scores: Candidates must have qualified JEE Main or SAT (for international/ NRI candidates). Candidates appearing in JEE Main 2020 or SAT 2020 examination are also eligible. Age Limit: Candidates must be born or after 1st October 1999 to be eligible to apply. BBA: Candidates must have passed 12th level with 60% marks and with compulsory subject of Maths till 10th and English till 12th. BA (Journalism and Mass Communication): Candidates must have passed 12th level with 40% marks with 5 subjects. Applying candidate DOB must fall on or after 1st October,2000. BA LLB (Hons): Candidates must have passed 12th level with 60% marks. Candidates must have qualified LSAT or CLAT with validity upto July 2020. BBA LLB (Hons): Candidates must have passed 12th level from any with minimum 5 subjects and at least aggregate 60% marks. Candidates must have valid scores in CLAT or LSAT. Qualification: Candidates must possess Graduation degree in any discipline. Percentage: Candidates have secured 60% marks in graduation. Mandatory Subjects: Students, who will pursue graduation in 2020, will have to provide result by 30th October 2020. Valid Scores: Candidates must possess CAT/ NMAT/ CMAT/ GMAT/ XAT/ GRE scorecard with validity up to July 2020. Bennett University 2020 Admission Procedure will start in the month of October 2019. Admission into B.Tech will be on the basis of 12th exam/ JEE Main or SAT score. Complete details regarding admission will be mentioned to the eligible candidates through online mode. MBA: Valid score in CAT/ MAT/ GMAT/ NMAT/ XAT/ GRE. M.Tech: Valid score in GATE. Bennett University 2020 Merit List will be published in the month of June 2020. The University will prepare separate merit list for various courses. Merit list for B.Tech course will be announced on the basis of percentile marks secured in JEE Main/ Class 12th examination or SAT score. The merit list along with counselling schedule will be available online. Candidates who will get short-listed through merit list will have to attend further counselling & admission rounds. Bennett University 2020 Counselling will be held in the month of July 2020. Candidates who will get short-listed on the basis of merit will be called for counselling session. Selected candidates will be notified for counselling sessions through email. Students have to be present at the allotted venue for counselling within the date and time provided. Failing to reach the venue as per prescribed schedule will lead to cancellation of admission. 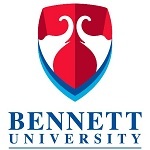 Bennett University 2020 Admission will be commenced in the month of July 2020. Selected candidates will be provided provisional allotment letter. Candidates will have to report at University with the allotment letter and documents for verification process. Students have to pay the admission fee within 10 days of admission offer. Diploma Mark sheet (if any), etc. If you have any query related to Bennett University Admission 2020, you can ask us by leaving your comment below.